I love the idea of coming up with little pranks to keep kids entertained throughout the year. And in my mind, there is not a more prank-worthy holiday than Halloween. 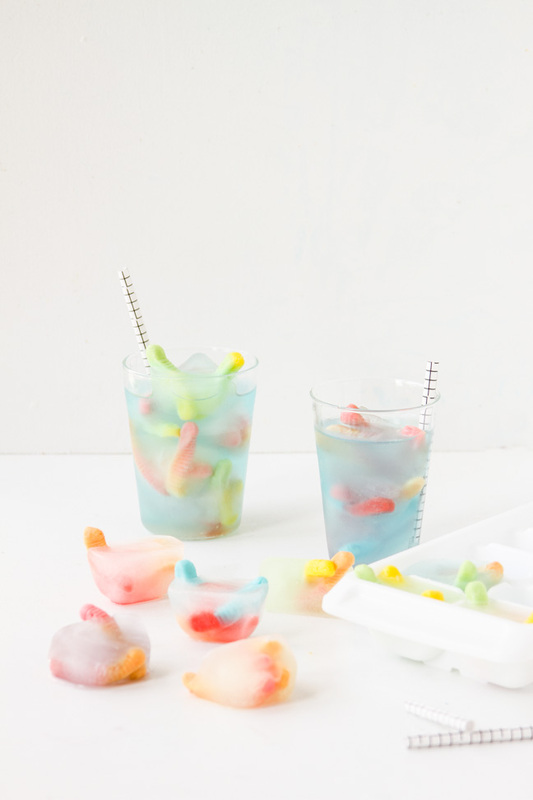 So, I thought I would make some (slightly) creepy, but also super fun and easy Halloween-inspired ice cubes for the occasion. 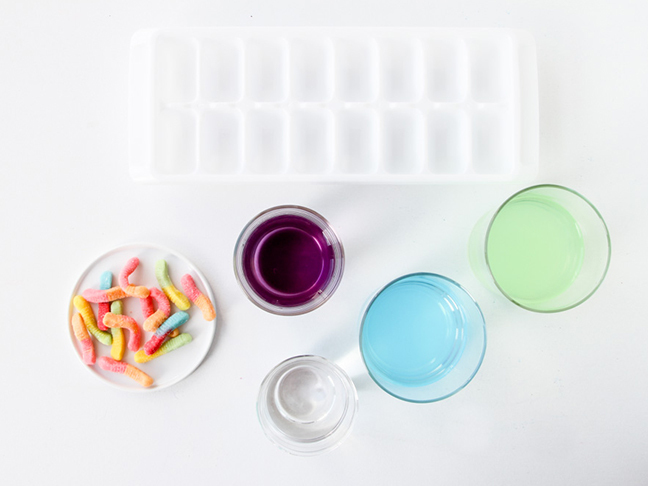 Step 1: Fill each well in an ice cube tray ¾ of the way up with water, Gatorade or fruit juice. 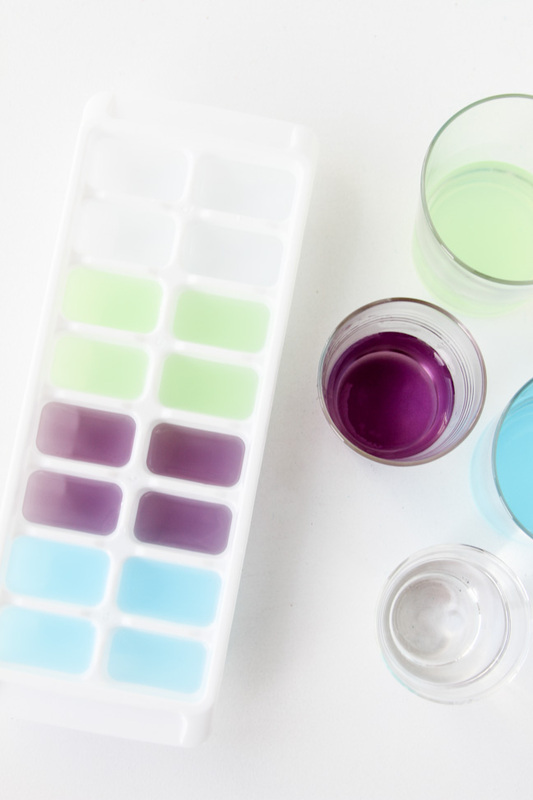 I used four different colours for my ice cubes, so I separated out the colours accordingly. 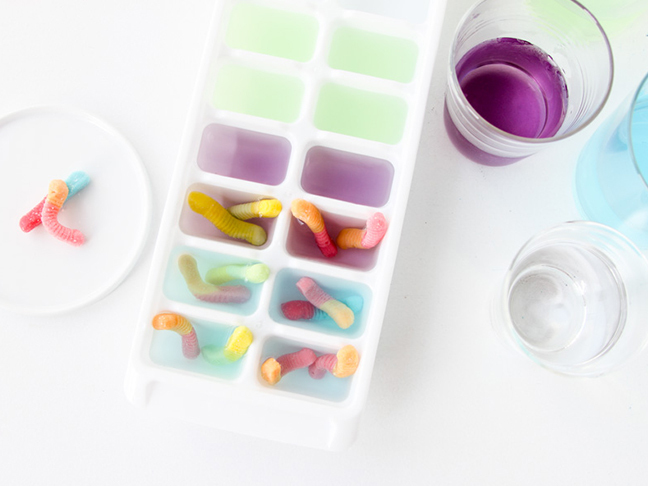 Step 2: Add 2–4 gummy worms to each ice cube well, making sure that at least part of the gummy worm is sticking out of the top of each ice cube well. 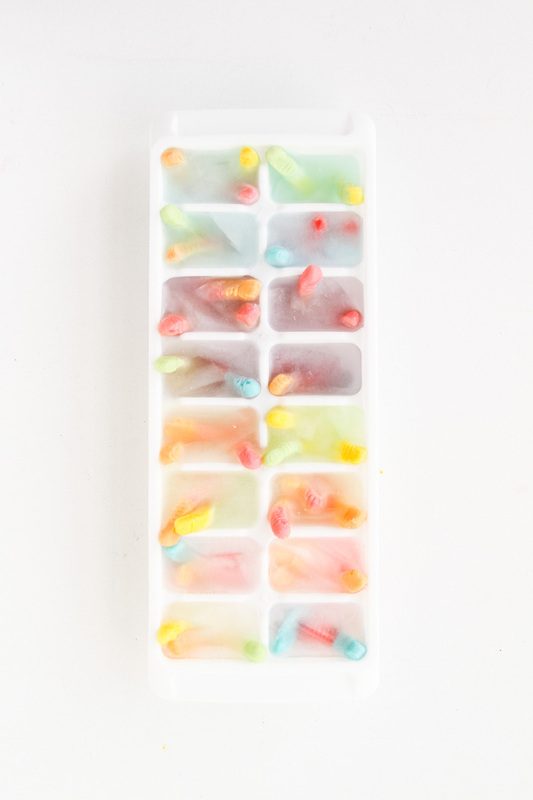 Step 3: Freeze the ice cubes for 4–6 hours, until completely solid. 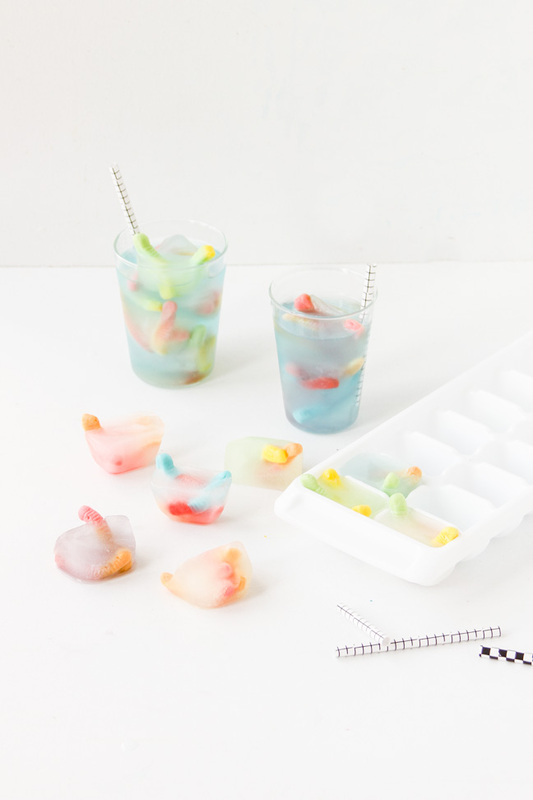 Step 4: Remove the ice cubes from the tray. Fill a cup with the ice cubes and pour water, juice, mineral water or clear soft drink (like lemonade) over the top. 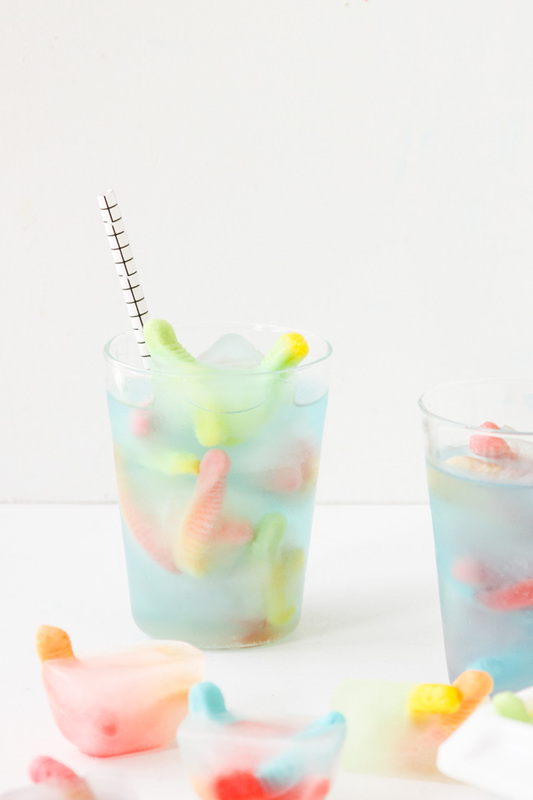 Sit back and see if your little one does a double take before they take their first sip. Enjoy!